Sage is an attractive bush- Its grey green leaves and spikes of blue flowers are just as useful in the shrub border as in the herb garden. It has a strong flavor and accompanies many traditional stuffing dishes. Introduction and Uses:These are evergreen perennial subshrubs with woolly grayish leaves that add an musky, earthy freshness to foods. Spikes of purple/blue flowers appear in mid-summer. 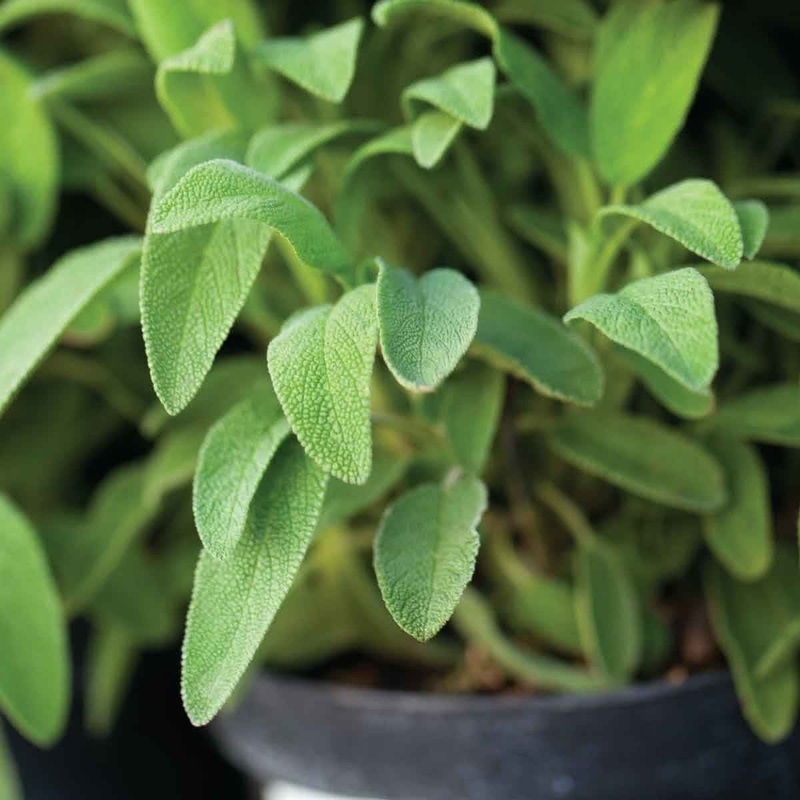 Sage is a hardy evergreen perennial with soft, grayish leaves that add a musky, earthy freshness to food. Its flower colors vary from purple, pink, blue, to white. This strongly-scented herb is renowned as a part of a double act alongside onion in the sage and onion stuffing. Its fresh or dried leaves are used to prepare teas. The herb is attractive enough to be grown alongside your favorite ornamental plants. Sage seeds can be sown throughout the year. 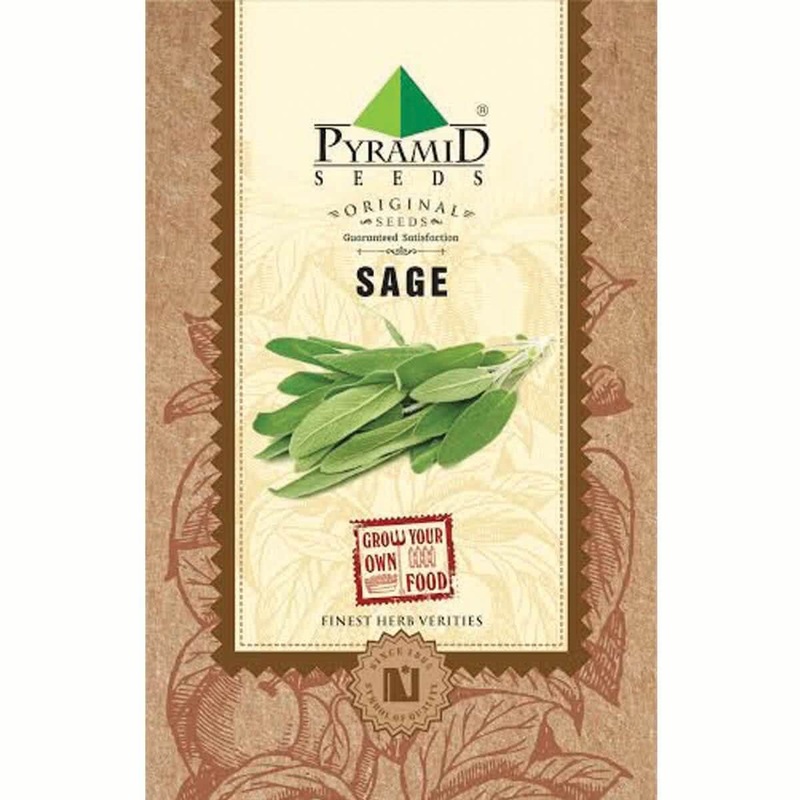 Step 1: Sage is grown by direct seed sowing. Seeds can be sown in pot, planter or container filled with good quality, well drained soil mix. Step 2: Take off some top soil (2-3 inches) from the center of pot and make room for seed sowing. Step 3: Sow few seeds of Sage evenly in the pit and cover them back with soil. Step 5: Sage seeds should germinate in 2-3 weeks time, depending on season. Step 7: Thinning: Cut off extra, weak seedlings from the base after 2 weeks of germination to maintain proper spacing between plants. Step 8: Once seedlings are growing, keep the Sage container in direct sun. Keep your sage plant in outdoor sunny location for best flavour. Sage doesn't mind growing in semi shade. Sage plant requires regular, moderate watering. Water your herb by shower method using Watering can. Add handful of vermicompost to Thyme plant every month. Prune/pinch the plant every year before monsoon. Always look for the early signs of any insect/fungal/ any other infections. Spray appropriate fungicides or pesticides as soon as any symptoms of such diseases are spotted. Watch out for snails and slugs. After 90-100 days of seed sowing harvesting can be done all year round. Harvest couple of leaves at a time as needed. Use Tricolor sage, to add multiple colors like yellow, mauve, and sage green in your garden. Plant sage in your garden to do well in business. Good packaging and seeds look fresh! Recommend it.